Introducing Twelve on Canton! A one-of-a-kind opportunity in Alpharetta's Garden District located within walking distance from downtown's shopping and trendy restaurants. This Premier Gated Community will consist of 12 Single Family Luxury Homes exclusively designed by Stephen Fuller and constructed by custom home builder,The Pradera Group, beginning this home immediately. Each of these homes will boast stunning custom finishes, sweeping porches, covered outdoor living areas & covered three car parking. 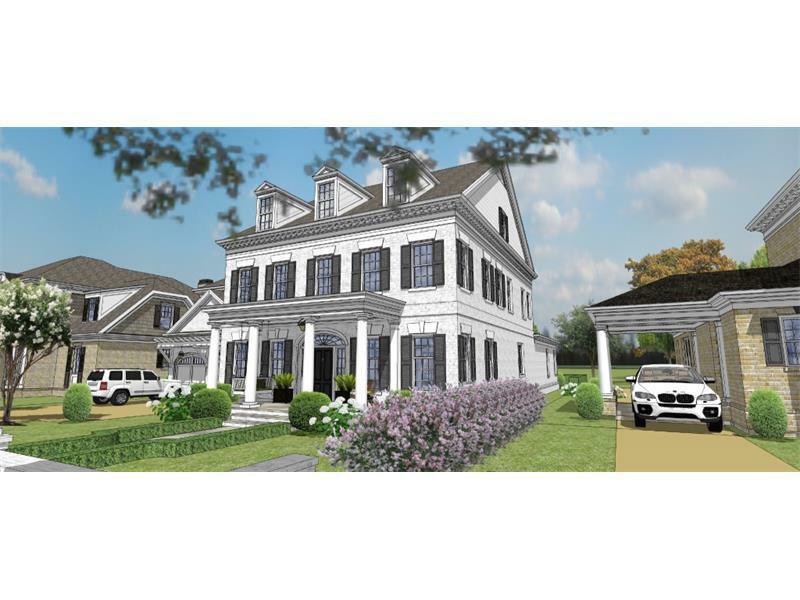 The custom house design will accommodate the addition of a pool. Directions: Ga 400 North, Take Exit 9, Haynes Bridge, Take A Left Off Exit And Stay On Haynes Bridge Until You Deadend To Academy Street. Take A Left On Academy And A Right Onto Canton Street. About A Half Mile Down On Canton Will Be The Neighborhood On The Left.